The daughter they never knew. Finally, the voice coming over the loudspeaker announced Perrie Lynn. Lark put her hand on her chest, which quickly grew tight and ached with nervous anticipation. As Perrie Lynn started her slow trip along the edge of the ice, Lark drew in a calming breath. The air around her vibrated as she attempted to gulp back the rising sob caught in the back of her throat. Miles captured her hand between both of his, whispering, "I understand." 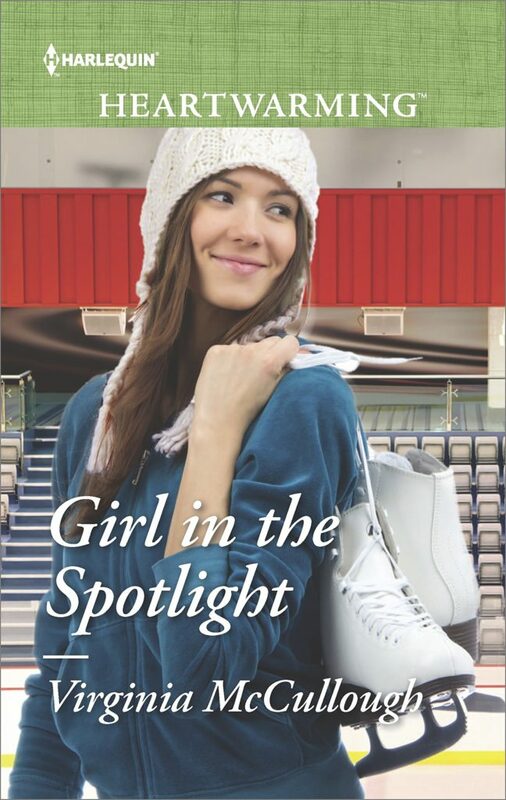 Perrie Lynn skated to the center of the ice, and after one last quick pivot, she assumed her starting position in the center of the ice and the melody of Moonlight Sonata began. Lark’s tears flowed freely. Miraculously, though, after the first couple of jumps her tears stopped. Along with all sense of time and any focus on technical elements. She lost herself in Perrie Lynn’s graceful journey across the ice and the triple jumps that brought outbreaks of applause. Maybe it was the lightness of her arm movements that enchanted Lark the most. No, the extension of her dramatic arabesques captured Lark’s attention. Girl in the Spotlight swept me away to Wisconsin’s Lake Michigan shore and reminded me of loves left behind. McCullough invokes deep emotions through her writing, which will pull at your heart. More than a romantic love story, it is a love story of parents for their children. A must read. A compelling love story crafted with characters you'll fall in love with. Miles and Lark's journey to be reunited with their child captured my heart, as did their blossoming romance. The best book I have read this year! McCullough is always adept at creating suspense on multiple levels. In “Girl in the Spotlight,” the intrigue builds from page one and doesn’t let up until the end. But she understands that readers need relief from tension, and through her masterful storytelling and perfect pacing, McCullough delivers satisfying outcomes along that way. The relationships she’s developed are complex and realistic, and their evolution is deeply satisfying.